Ladies! So you’re ready to take on the world of hunting, but the challenge of bow hunting has left you a little bit unsure of yourself. Well before you tackle that hurdle you first need to find the right bow. Hunting gear for women is an investment. It’s an investment in fun, togetherness and nature. Some of my most peaceful moments were found in the outdoors with my bow. More and more companies are making bows for smaller framed people, like women (us!). The sport is no longer just for men and they understand that women have different needs in the archery world. One challenge is draw weight…. 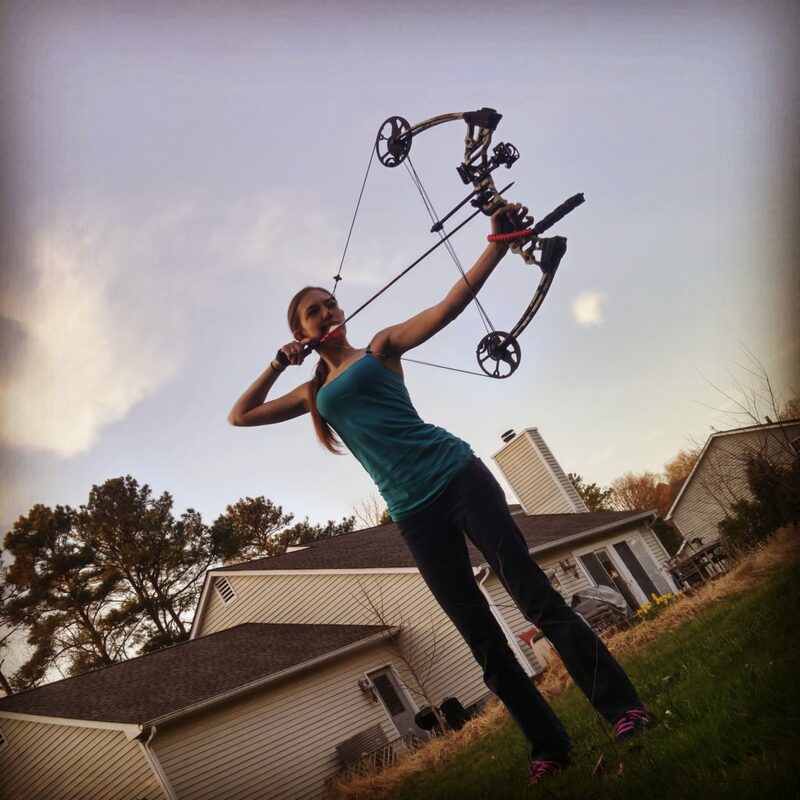 Women just don’t have the muscle mass of men, and generally speaking, are smaller framed which is why it’s essential that you find a bow that meet YOUR needs. Additionally, more companies are realizing that having a bow that is completely adjustable is ideal. We can’t always carry a great big bow but that doesn’t mean we can’t bow hunt. For some of us, it is slightly embarrassing to use a youth bow. That being said, here are my 5 tips to find the perfect bow for hunting! Hold as many bows as you can. Just feel the way the grip fits in your hand and if you can hold it out comfortably without your arm shaking too much. The process of finding a bow is very personal. Just because a bow shoots well for one person, does not mean it will shoot well for you. Make sure you shoot the bows that you feel are very comfortable holding. You need to know how it feels at full draw and how smooth the draw is. If it is a very aggressive draw, you may not be as comfortable with drawing slowly as this is sometimes required. There are instances where you have to hold at half draw so you are not spotted. Consider length. Some people say that longer bows are better than shorter bows, I love my bow and it has a fairly short axle-to-axle distance. Shorter bows do have a tendency to be more sensitive to wrist torqueing and shooting form mistakes. Longer bows are a little more forgiving, but can be cumbersome to maneuver while in the woods or stalking in tall grasses. Price: So now you have narrowed to down to a few bows hopefully and now becomes the difficult choice of picking one. In some cases, a $1,000 bow does not shoot as well as a $400 bow. In my case, my bow cost $450.00 after it was all set up. However, another woman shot the same bow and it was not comfortable for her. 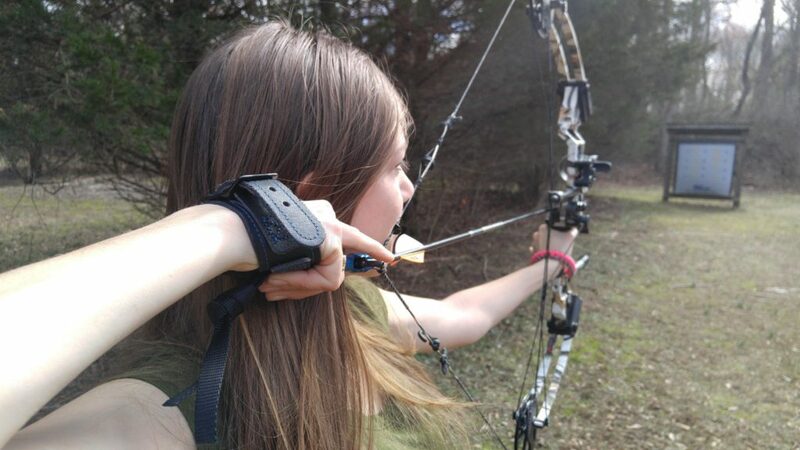 Price tags don’t make the bow shoot any better or worse, so don’t focus on that…. Comfort, that’s your focus! Satisfaction. You’ll want to be happy with your choice so to be sure that happens, ASK QUESTIONS! Is there a warranty? Does it come in different color patterns? Does the archery shop have an upcoming sale? If you think you will regret purchasing a bow because you cannot afford the one that fit you best, ask if your bow shop has a layaway plan or wait until you can afford it. Don’t just buy your second or third choice just because you feel like you have to have a bow right away. In closing remember that a poor fitting bow will leave the archer feeling uncomfortable and frustrated at the end of the day. Just remember, MAKE SURE THE BOW IS COMFORTABLE FOR YOU. Oh, I almost forgot, let’s go over a little bit of “bow hunting terminology” so you go into the archery store knowledgeable. Draw Weight: The weight you are pulling back when drawing a bow. Riser: The part of the bow with the grip attached to it. Dry Fire: To fire a bow without an arrow nocked. This is very dangerous and can break a bow’s limbs. Crossbow: A horizontal bow that has a scope and a trigger, like a gun. I wish you well in your new archery endeavor! You can do this…. We are the women of tomorrow! Be inspired and be free! If you have any questions regarding your archery adventure or other hunting gear for women, please feel free to contact me at kathaasoutdoors@yahoo.com! My wife is interested to bow hunting, ans she want to get long bow. It is too tough to operate long bow? Kindly give me some advice what should I do..longbow or compound bow. There is nothing wrong with wanting to use a long bow. 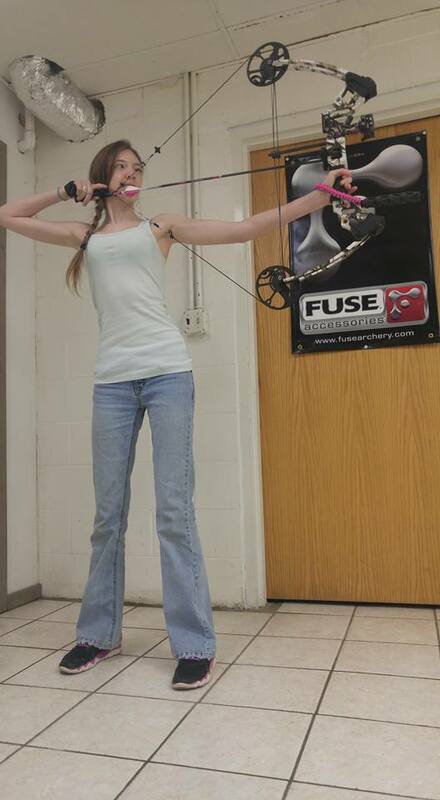 Long bows and recurves are a lot of fun to shoot! It takes hours of practice and thousands of shots to perfect her form. I would definitely take a look at WolfPaw Custom Recurves and Striker Bows. They both make really high-quality recurves and longbows.